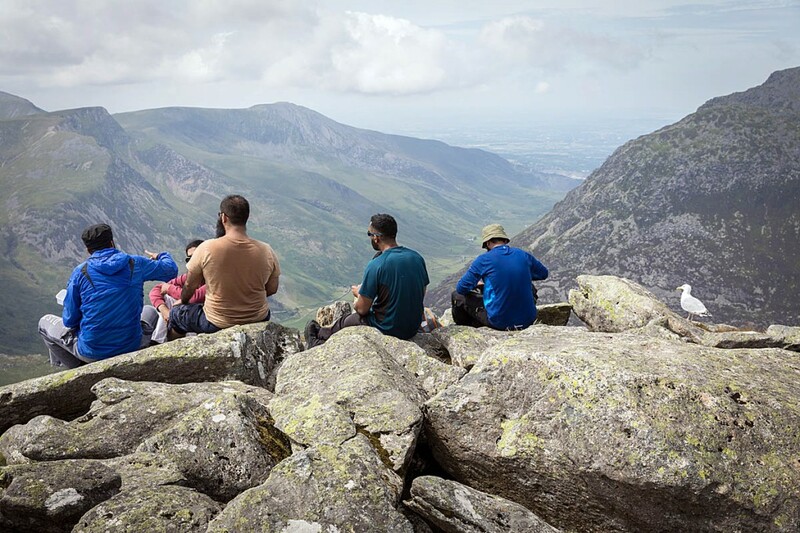 The volunteer teams that cover the mountains of Snowdonia and surrounding area reminded walkers that they are responsible for their own safety. Being tired after reaching the summit of a mountain is not a legitimate reason to call out rescuers, they added. The North Wales Mountain Rescue Association said walkers and other outdoor enthusiasts need to be ‘adventure smart’ when heading for the hills. A spokesman for the association, the umbrella organisation for six teams in the area, said: “Mountain rescue teams are made up of volunteers who give of their time freely to provide a free search and rescue service for people in real need on the hills and mountains of north Wales. You are responsible for your own safety and that of others with you while in the hills. However, when someone is injured, or you have exhausted your alternatives to get out of trouble, telephone 999, ask for police then ask for mountain rescue. One of the teams in the association, Ogwen Valley Mountain Rescue Organisation, has had a busy few days. It had to deal with two calls simultaneously on Tuesday afternoon from the Welsh Ambulance Service for two separate incidents. The team’s spokesman said: “Both were retirement-age ladies, both lower leg fractures, one by Aber Falls and one on the lower slopes of Conwy Mountain. “On Sunday evening, there were two calls within 10 minutes for people lost in cloud: a group of four young men who had descended Tryfan’s North Ridge but decided to stop when hitting the upper rock-climbing pitches of Milestone Buttress and a young couple who had had a good mountain day on the Glyders – alas all in cloud – and descended Seniors Ridge. More helpful information on safety can be found on the Adventure Smart Wales website. Links to mountain-specific forecasts can be found on grough’s Links page. 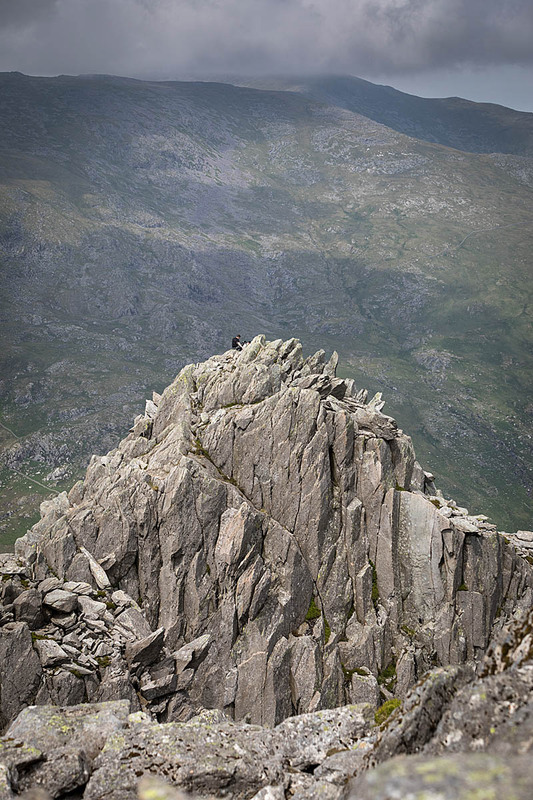 Thinking of tackling Tryfan? Have a look at grough’s guide first. Helpful guidance like this unfortunately only appears in publications that fairly experienced outdoor people read (like this site) so those in need of this advice never see it. Maybe in future it should be inserted in The Sun, OK and Hello magazines and on other popular online sites. This is an excellent guide - but I think there's one thing missing: When planning your route make sure you've allowed yourself time to get back off the hills before it gets dark (and don't assume it will take less time just because it's downhill). TH is absolutely right. Only experienced people read things like Grough, SAIS, MWIS, and UKC, etc. Having people giving advice on busy days at the start of the most popular routes is a help but needs yet more personpower. In Some countries the rescue can charge the client if they are deemed to have been irresponsible or set out unprepared, or, ill equipped. This decision is the teams only. Genuine rescues of well equipped and competent parties remain free. We often see on this site comments that at least some people should pay for mountain rescue. If anyone is responsible for deciding who pays, that decision could be subject to legal challenge. I can’t imagine that anyone who volunteers for mountain rescue (and I am certain that we are all proud of each and every one of them) would want to spend that time in the courts. We should stay as we are with mountain rescue being free or move to the case in some other countries where everyone pays and takes insurance to cover the cost. Of course, it’s impossible to force everyone to insure so I suspect that would not the route to take. Those of us who have this far not needed mountain rescue should get off our high horses until such time as the mountain rescue organisations start to suggest their services should be paid for. Steve - I agree with your sentiments although I must admit to being one of those who has commented about some people having to pay for being rescued. However, I wasn't serious and I expect most others who have commented weren't serious either. Speaking for myself, it was just sheer frustration with some of the idiots who have called out MR. I'm not sure what the solution could be, I only know things cannot continue to get worse as they presently are. TH - a good suggestion but would the 'idiots' take any notice? "You are responsible for your own safety . . . "
This will come as a surprise for some. As time moves on and more people take to the hills there will come a time when local MRT will not be able to continue with the amount of call outs. What happens then , who pays the wages for full time rescue teams not all areas will need this but Wales and the Lakes must be getting close. Wonder when Fire and Rescue will try to take Mountain Rescue into their domain. They tried a bit of hill rescue on Arthur’s Seat, Edinburgh a year or two back, but eventually had to call in a rescue helicopter. Agreed except for the ankle support part. It’s a myth. I don’t think it’s a myth if your ankles are weak ...... speaking from experience .